Since 1995, the National Sport Academy has provided student athletes in and around Calgary with a unique experience by combining their academics and sport training during the school day. The National Sport Academy student athletes take regular academic classes through participating Calgary Board of Education schools. Flexible timetabling provided by the Calgary Board of Education schools allows student athletes to train with the National Sport and / or their club. In cooperation with the Calgary Board of Education use flexible academic timetabling to create training opportunities during the school day to access National Sport Academy training, club training and manage your academics. At Central Memorial High School, use the student athlete’s busy active lifestyle towards achieving the learning outcomes and credits in Physical Education and the opportunity to achieve additional credits in Career & Technology Studies courses. Increase sport training opportunities, thereby quality repetitions, purposeful practice, directly with the National Sport Academy and / or your sport club. Access professional qualified coaching to complement the increase in training. Train during the school day without conflicts with the student athlete’s club team / sport organization. Prepare student athletes for the lifestyle required for successful post secondary education and athletics through National Sport Academy Coaching & Leadership. To keep pace with other emerging and high performance athletes in Alberta, Canada and world wide, student athletes needed the necessary guidance, professional coaching and support to develop and maintain a successful academic and athletic lifestyle to improve and excel in their sport. Since 1995, when the National Sport Academy began as a part of the National Sports School at William Aberhart High School training grade 9 – 12 student athletes, the program has expanded from offering the National Sport Academy hockey experience to include Baseball, Flexsports, Golf, Hockey, Lacrosse and Soccer. Today, National Sport Academy student athletes train and compete in the sports of Baseball, FlexSports, Hockey and Lacrosse. The National Sport Academy has also expanded from one original school location to currently working cooperatively with Central Memorial High School (grade 10 – 12), R.T. Alderman (grade 5 – 9) and Senator Patrick Burns School (grade 9). The National Sport Academy has nearly 3000 alumni in Baseball, Golf, Hockey, Lacrosse and Soccer as well as FlexSports student athletes in alpine skiing, badminton, diving, equestrian, field hockey, figure skating, ringette, skateboarding, snowboarding, swimming, tennis, track & field, wrestling and more. Attended and graduated from colleges and universities throughout North America and Europe. Membership in various provincial and national teams in their sport. Various provincial / state or geographical leagues at the college & university level throughout North America. Today, many of the National Sport Academy student athletes have successful careers in various industries, are raising young families, live in various parts of the world and are involved in the community giving back as coaches and leaders. The National Sport Academy has been fortunate over the years to work with so many great student athletes and families. 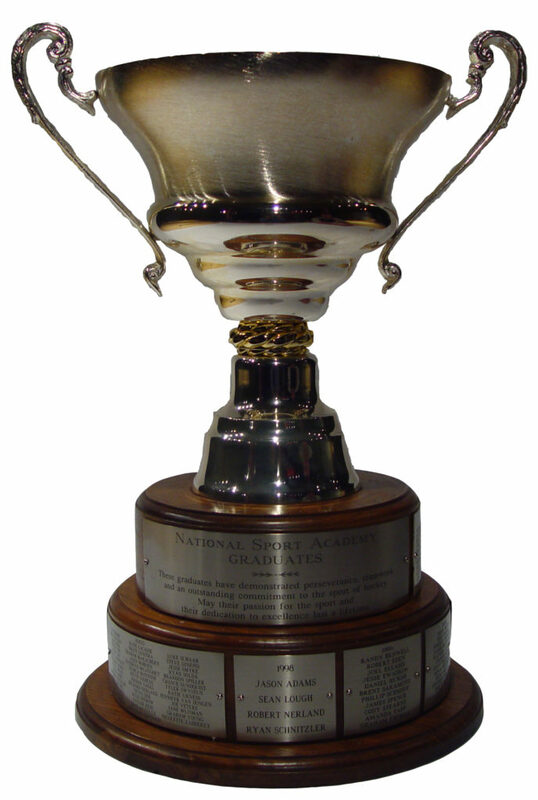 Each student athlete that has participated in the National Sport Academy has their name engraved on one of the National Sport Academy cups (Baseball, FlexSports, Golf, Hockey, Lacrosse, Soccer) identifying them as a student athlete that has trained in the National Sport Academy student athlete lifestyle. We congratulate all alumni for taking on the challenge of exploring, developing and using the lifestyle of a busy student athlete to take on even bigger challenges in their lives. Congratulations, National Sport Academy alumni!